We love this season-less tank top! 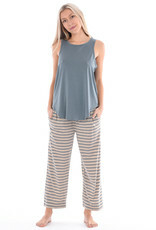 Refined tank with a flattering length and curved hi-low hem. 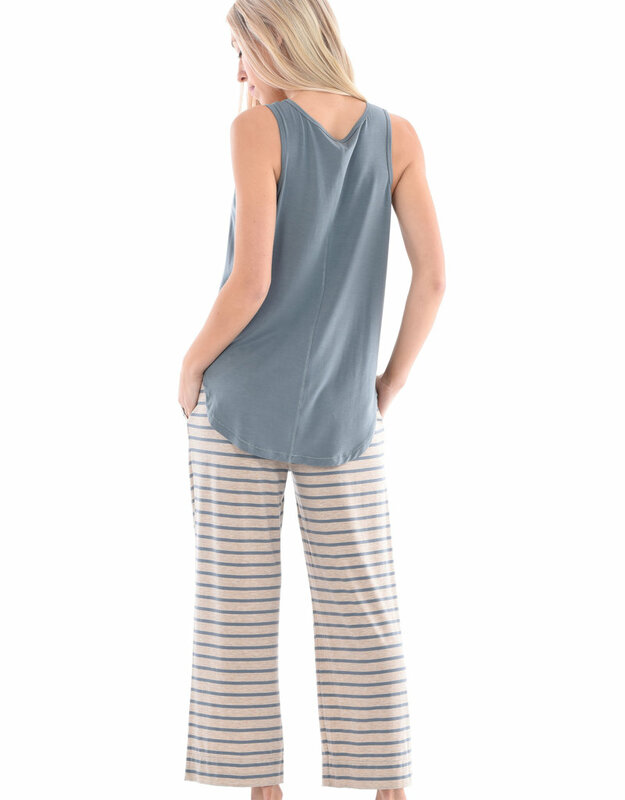 The simplicity of this tank make it a perfect match over all our pant styles. Also works great as a layering piece due to the breathability of tencel. We are wearing this tee out, to bed and around the house. The perfect tee with a rounded hem and gently fitted in the body. Soft v-neck. Simple fit, simple comfort, simple style. 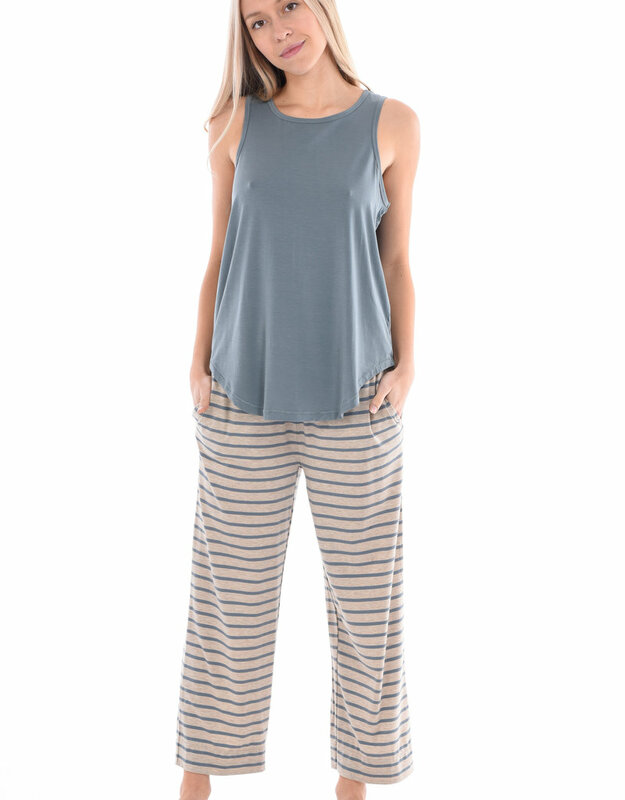 This Tencel top is a dream to wear in its ultra-flattering simplicity. A perfect match to all of our bottoms or as a layering piece. Flattering ballet neck top with a full length sleeve and soft fit body. Paper Label's most requested lounge pant of all time, the Whitney is ultimately comfortable while still being flattering. Soft gathers at the waist and drawstring. Generous fit through the thigh. 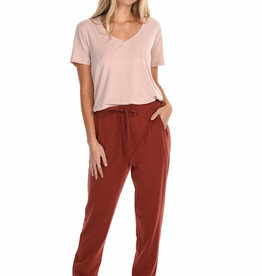 The Florie Crop Pant is our ultimate sleep pant. Wear her with ease. 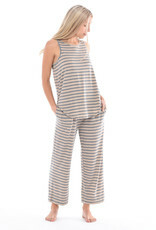 She is simple and adaptable with drawstring soft rib waist and cuffed hem on mid-calf. Florie pairs well with all our tencel and cotton tops. Thinking we need one in every colour to get us through the week! 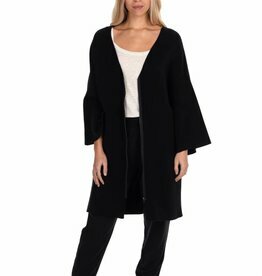 This tencel tunic will be on everybody's wish-list. Wear it solo as a dress or layer over leggings, jeans or your favourite lounge pants. 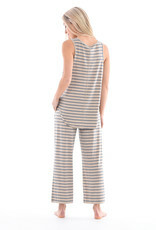 V-front neck with bound edge, sleeveless with intentional oversized palazzo leg.